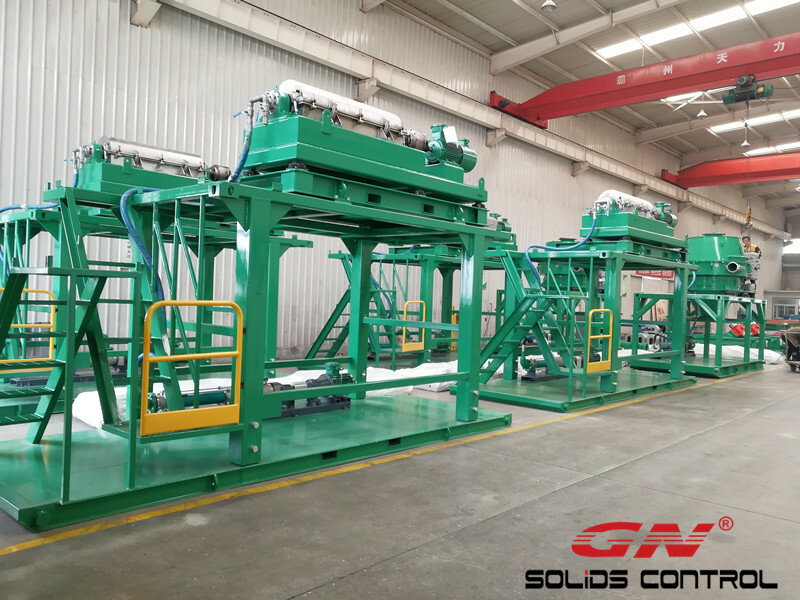 GN Solids Control has provided thousands of decanter centrifuges and cuttings dryers for global customers. 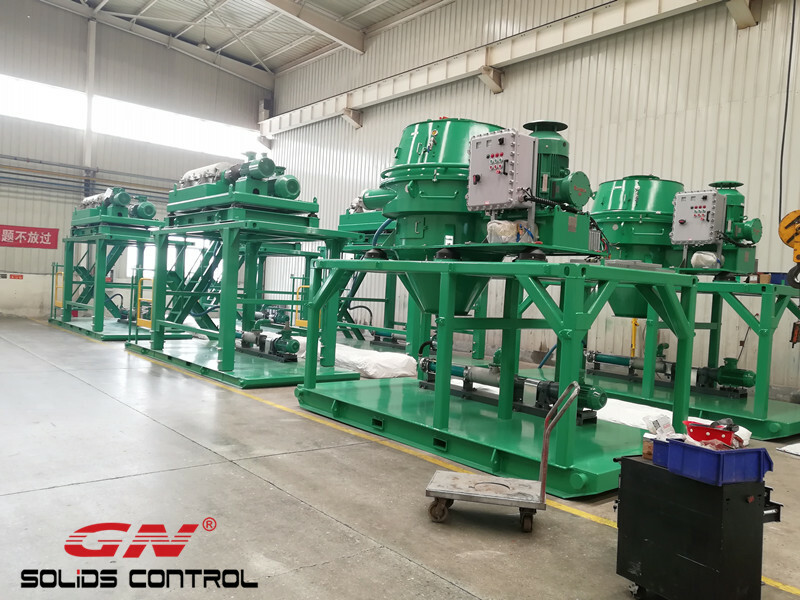 Just several weeks before, GN Solids Control finished the manufacturing of 4 sets GN Decanter Centrifuges and 2 sets GN Cuttings Dryers for one Africa customer. As one of the key treating equipment, GN decanter centrifuges have been widely used to treat drill cuttings, oil sludge, waste water and some other sludge. GN decanter centrifuge has 9 inch, 14inch, 18inch and 22inch as well as 30inch rotating bowl. This year, GN Solids America LLC also got many inquiries on GN 9 inch centrifuges, which are largely used in core drilling mud or diamond drilling mud treating. These 4 sets GN decanter centrifuges are all GN 9 inch rotating bowl centrifuges. Model GNLW363CG-VFD. GN decanter centrifuge has VFD control and fix control, both of them can be used in explosion Zone I or Zone II area. GN centrifuge rotating bowl material is duplex stainless steel 2304, made by centrifugal casting. GN screw propeller inside the rotating bowl is fixed with tungsten carbide tiles by bolts. GN cuttings dryer is one effective treating equipment to recover oil from oil sludge. Before feeding into GN cuttings dryer, oil in the cuttings discharged from shaker, desander, desilter or mud cleaner contains oil over 20%, after treated by GN cuttings dryer the final oil on the cuttings can be controlled less than 5%. GN Cuttings Dryers are largely used to treat oil base mud or synthesized based mud. While for the water based mud, GN Solids usually recommends to use GN Hi-G shaker and decanter centrifuge. Due to the size for screen basket, GN Solids Control cuttings dryer is usually used to eliminate the solids larger than 250 microns. This year, GN Solids America LLC will exhibit shale shaker, decanter centrifuge and vacuum pump during the OTC 2018. Welcome to visit us!